Life would not be the same without grip seal bags. They are super handy, efficient and store items like a boss. They are available in various sizes from MS packaging and is widely used in retail, offices and refuse circumstances. A box of grip seal bags gives around 100 pieces of these bags. They are of high quality and quite usable. 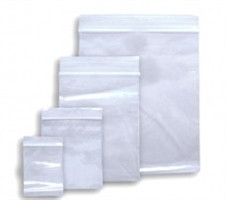 Buy a good deal from MS packaging for these affordable grip seal bags.